Square Enix held its E3 press conference on Tuesday, June 16, leading off with a demonstration and announcement of a December 1, 2015 release date for open world action-adventure game Just Cause 3. 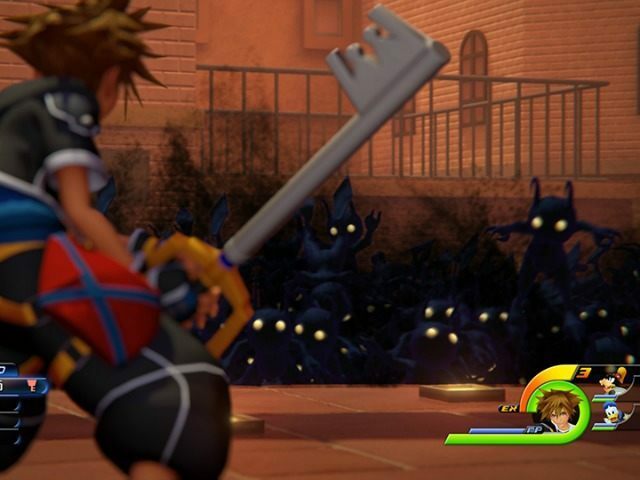 The developer also showcased multi-environment Sora vs. Heartless battles for upcoming role-playing title Kingdom Hearts 3 and gameplay footage for stealth first-person shooter Deus Ex: Mankind Divided. A second installment for cult-classic RPG Nier was announced as being under development by developer Platinum Games, creators of Bayonetta and Metal Gear Rising: Revengeance. Square Enix also revealed Lara Croft Go, a Tomb Raider strategy game modeled after Hitman Go. Square Enix also displayed footage from role-playing title Star Ocean: Integrity and Faithlessness; the game will come out in 2016 for the PlayStation 4. Role-playing game World of Final Fantasy and action-adventure game Rise of the Tomb Raider were also featured. The developer announced a Final Fantasy Portable App and featured Tokyo RPG Factory, a studio that will be devoted to developing role-playing games for Square Enix.